The Harrier is a single-engine subsonic attack aircraft to deliver close air support and is mostly used for direct support of ground forces to destroy enemy troops, tanks and artillery. The Harrier, developed by the British company BAE systems in 1960, was the first aircraft in the world which could vertical land and take-off. The harrier is in service with the British Air Force (Royal Air Force or RAF) in the GR7 and GR9 version and the Sea harrier FA.2 with the British Navy. 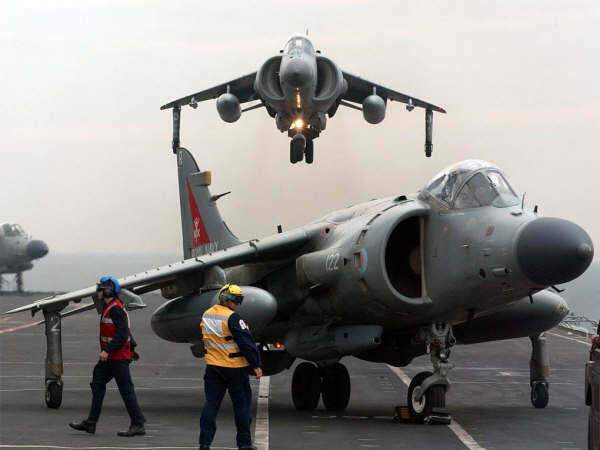 Since 2000 all harriers from the RAF and the Navy Sea harriers are under one command, called Joint Force Harrier. With this, both harrier versions are used by both defence parts. 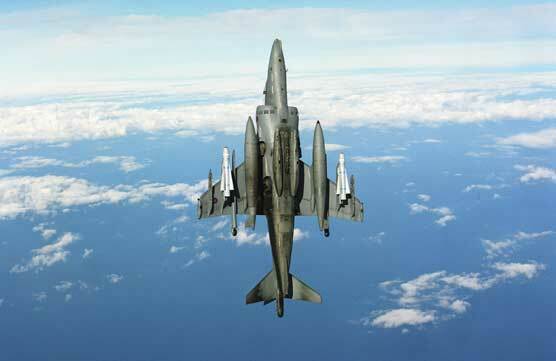 The harrier was the first aircraft in the world which could vertical land and take-off. With this harriers can take-off from any place. The technology which is used here is that the pilot can rotate the engine over a angle of 80 degrees. Doing this the forward propulsion is now vertical. On a height of 15 to 30 meters the pilot rotates the engine slowly backwards so the harrier will fly further as a normal fighter jet. In the opposite direction the harrier can land. Vertical Land and take-off requires a very much fuel, so they will almost always land vertical when needed. With this amazing characteristic of rotate the engines the harrier can reduce his speed in air combats very fast by rotate his engines. Thanks to this the harrier can lose speed faster than any other current fighter jet. 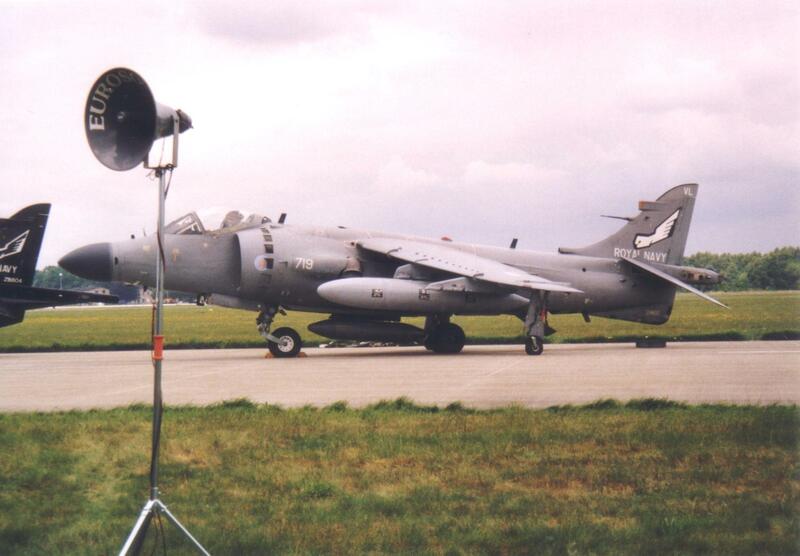 The first Harriers (GR1) came operational with the Royal Air Force in 1969. Almost all GR1 aircrafts have been updated to the GR3 version. At the moment, the RAF is updating her harriers GR7 to the GR9 version. In 1975, the British Navy (Royal Navy) bought the navy version of the harrier, called Sea Harrier FRS. Mk1 which made his first fly in 1978. The FRS.1 has later been updated to the Sea Harrier FA2 version. These harriers take care of air defence of the British aircraft carriers, mainly against low flying aircrafts which are equipped with long-range air-to-surface missiles. Furthermore the Sea Harrier FA2 can be used for air-air combats, patrol flights, air-see and air-surface attack missions. The United-Kingdom has now a day still 56 Sea Harriers FA2 in service with the Royal Navy. These fighter jets will probably discharged in 2006 and will be replaced by the F-35 Joint Strike Fighter (V/STOL version). - the navy of India (New harriers (FRS.51) from the United-Kingdom).